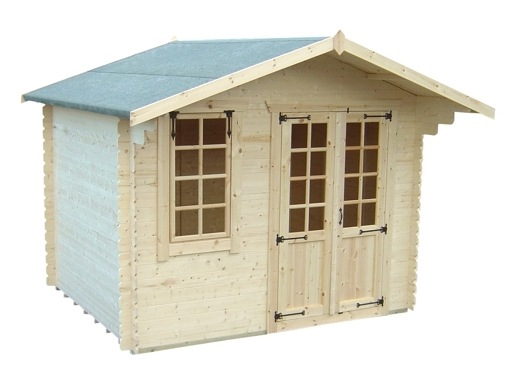 The Appleby - A chalet type summerhouse. The Appleby is supplied as standard with a Double Georgian Style door with a fitted lock, Antique decorative hinges and handle, roof canopy complete with fascia boards and a Georgian Style opening window. Manufactured from 19mm tongue and grooved shiplap on 28 x 44mm planed framework. Internal eaves height is 1.8m.